The President of Ghana, Mr. Nana Akufo-Addo, has promised that the government will introduce free secondary education beginning from September. President Akufo-Addo said the government would fund the cost of public Senior High Schools (SHS) for all those who qualify from the 2017/2018 academic year. “By free SHS, we mean that, in addition to tuition which is already free, there will be no admission fees, no library fees, no science centre fees, no computer laboratory fees, no examination fees, no utility fees. “There will be free textbooks, free boarding and free meals, and day students will get a meal at school for free,” he said. President Akufo-Addo made the promise in his address to mark the 60th anniversary celebration of Akuapeman Senior High School in the Eastern Region. He spoke on the theme: “One Vision, Many Lives”. The President noted that a society that aims to transform itself into a modern, productive player in the global market, needs an educated workforce; and that means it must get its educational policies right. He said the fact that Ghana has been unable to give all its citizens the education which had enabled the West and of Asia countries to thrive, was the missing link in the country's economic development. The Ghanaian leader said his administration would also focus on the provision of incentives that would motivate teachers and reward their hard work. 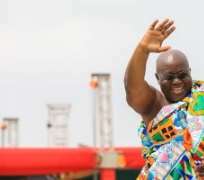 The free SHS policy was one of the promises of the governing New Patriotic Party (NPP) during the last electioneering campaigns.